Hello everyone! 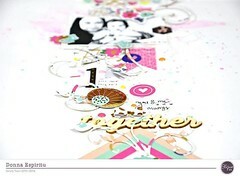 Elisabetta here to show you another layout created with the May kit! this 4×6 exclusive card was perfect for my picture (and I adored the quote)! I can’t wait to take some Polaroids, I’ve seen a lot of beautiful Pinterest projects using Polaroids! Categories: Study Hall | Tags: Die Cuts, exclusive pocket cards, Exclusives, may 2016, may kit, polaroid, Tags | Permalink. I cut them and placed them on the left side of the page with the picture and then I embellished the page using stickers, diecuts, alphas and tag that we got in the kit! Categories: Geek Lab | Tags: CKExclusives, Die Cuts, Exclusives, may 2016, Print Files, Printables | Permalink. Hi everybody! Hope your weekend is off to a great start. Today, I have a fun layout to share with you using the exclusive die cuts, cards and acrylic French fries from the March Clique Kit! I love the French fries. They are so cute. For this layout, I wanted lots of layers with a variety of papers, die cuts and embellishments. As soon as I saw these papers, I knew exactly what photos I wanted to scrap. I used my photo editing software on my phone to edit the photos. The original photos were a little dark so I brightened them up a bit. Once my photos and papers were matted down, I decided to stamp on the die cuts that came with the kit and tucked them behind the top photo. I love the look of layered tags on a layout. It really makes a layout pop. The easiest way to adhere acrylic embellishments to a project is Glue Dots. I love them and a girl can never have too many Glue Dots. And since I ran out of room for my journaling on this layout, I decided to journal on a tag and tuck it beneath a photo with a sub-heading title. Categories: Geek Lab | Tags: clique kits, Die Cuts, Nicole Martel, Stamping, Studio Calico Goldie | Permalink.